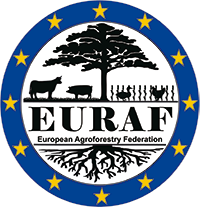 At present, in Albania there is no national agroforestry association, but many organizations focus on agroforestry issues, e.g. the Forestry Association, the Agriculture Association, the Albanian Local Capacity Development Foundation (ALCDF) and others. The Albanian Local Capacity Development Foundation works closely with agroforestry actors since many years: The organization was founded and officially constituted in 2010 - as a spin-off of the “Dutch Development Organization” (SNV). SNV worked in Albania since 1996 and focussed in agriculture, forestry and rural development. Here are a few impressions in pictures.